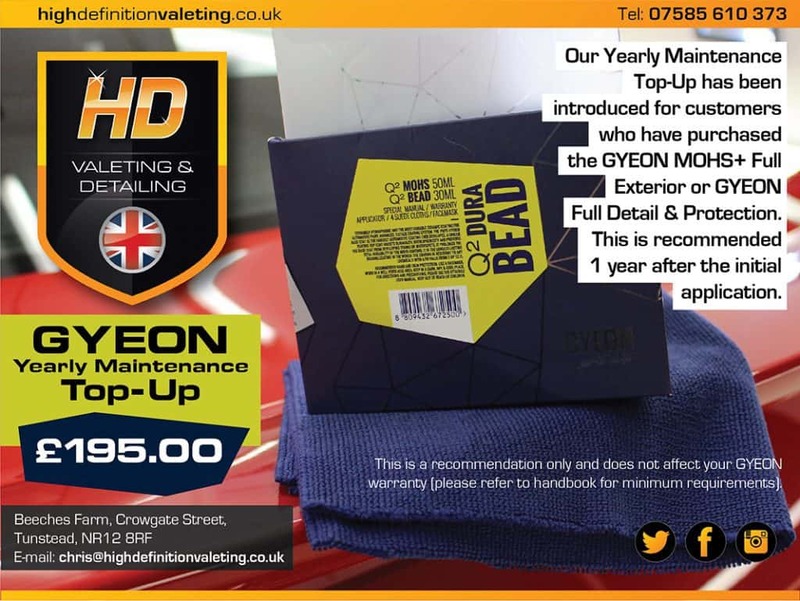 After listening to feedback from customers we’ve introduced a GYEON Yearly Maintenance Top-Up Package. This is recommended 1 year after the initial application. This is a recommendation only and does not affect your GYEON warranty (please refer to handbook for minimum requirements). Please bring your warranty card with you for this exclusive price.